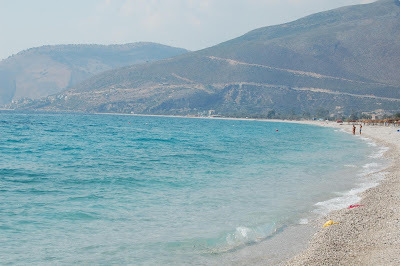 Daily Sabah, a nationwide publication based in Turkey has published the article about Albanian Riviera. Ernest Whitman Piper is the journalist who saw and wrote about the beautiful beaches of our country. “Snuggled between the Adriatic Sea and the Balkan Mountains, Albania has just as good a Mediterranean Riviera, with comparatively fewer tourists and Mafiosi, and is about a zillion times cheaper. It's got a pinball history of tribal conflict, time under the Ottoman reign, and paranoid, isolationist midcentury Communism. What's not to like?”, says Piper. Himara: The town of Himare was a single avenue along a walled beach, with a tangle of residential backstreets sliding up the coastal slope. Borsh: Our next stop was through the village of Borsh, where the men were selling milk from tractors in the road. A bunch of hollowed-out resorts stood on either side of the single lane road, and we followed a dirt path through what looked like a jungle to the beach. Finally, a real beach, although still completely deserted. There was a small cafe/bar and some beach chairs and we took out our shorts and read books on the beach chairs. Saranda: We almost didn't stop in Sarande, but they had a neat castle (called Lekures). It's situated right outside the city proper on a summit overlooking the coastline. Our trip across the Riviera had to stop here, since Sarande was the last town before the Greek border and we were out of driving time. 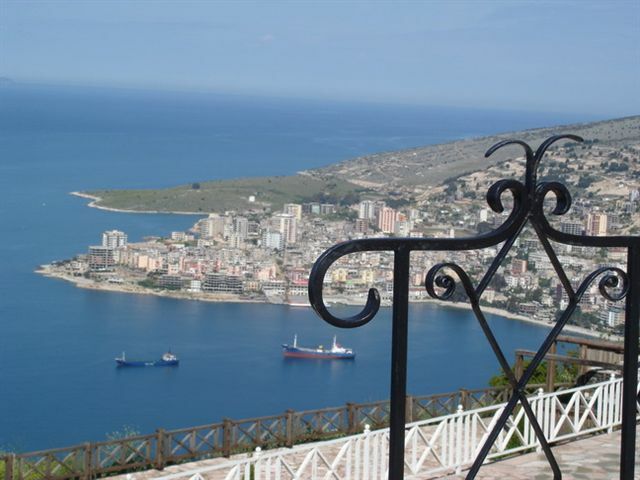 But if you wanted to extend your trip a little bit, there are a few good cultural options outside of Sarande. There's the ancient city of Butrint, a UNESCO world heritage site. It's the remains of a Roman city, stone pillars and standing churches on a forested peninsula. There's also the Monastery of Forty Saints, or the Ksamil islands, or the ancient town of Finiq (named for the Phonecians, naturally). We were overloaded on concrete, so we opted for the Blue Eye Spring as a change of pace. 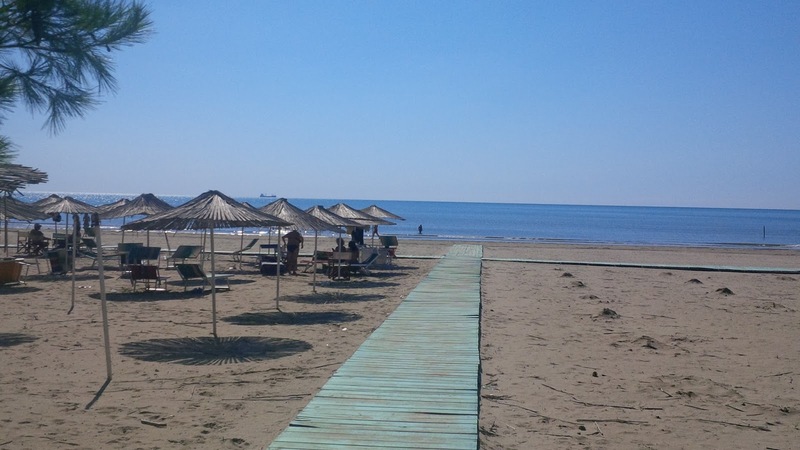 I find it amazing that one can traverse the entire Albanian Riviera, stay in derelict hotels where all the plaster flakes off in huge chunks, have a beach to yourself, and then go visit some long-ignored Roman ruins and hike all over them.